Happy New Year. Now lets start it the right way. Happy New Year. Lets start it the right way. Looking forward to a fantastic 2018.. Happy Selling. As you all know, I have been emphasizing one very important aspect of selling insurance for the last 4 months. It is relationship building. The reason is, because I strongly believe this is the most neglected area insurance agents overlook and it is an area where most inexperienced agents drop the ball. It is in this one critical area that most new or inexperienced agents completely ignore and wonder why they can not maintain their insurance career momentum. Part of that momentum is called building your brand. Don't take this part of your business for granted. Relationship building is what creates the longevity of your insurance career. Not only that, but quality and effective relationship building is the key to turning a new client into at least SIX future policy sales. You need to ask yourself one question. 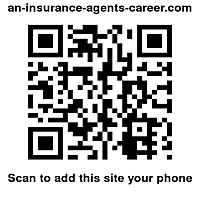 Do you want to become their insurance agent, or just another insurance agent to your clients. Learning to lock in your clients will keep the competition out and bring you more sales and more referrals. If you have not figured that out yet, then I am telling you that is the way it is. Last year we created a new concept. We are so excited about the positive results from this Referral and Retention program that we want everyone to get a chance to try it. We created a new upgraded version and offer for the first quarter of 2018. Chose your marketing piece. No set up fees. You will never find a less expensive relationship building concept as this. Not only that, it then goes on automatic pilot. A gigantic time saver. If you are not using something like this now, then it would be a good idea to re-think your marketing and selling strategy and start the new year off right. Note: This concept is only available for agents in the United States.